NP GroupBlogMarketingAre You Prepared for a Lead Generation Campaign? The primary goal of many clients we work with is lead generation. After all, whether they are B2B or B2C, websites are designed to make users accomplish some stated objective. This objective in our parlance is known as a “conversion.” When a user fills out our contact form below, this is a conversion. For e-commerce, it may be buying a product. Whatever the goal is, billions of dollars are spent on lead generation annually and everyone wants to get their hands dirty to grow their business. For those that are prepared to invest in lead generation, there is but one problem… What do you do with leads when they come in? Getting an anonymous user to convert to a lead is all fine and good, but surely you can’t scale a lead generation campaign with a contact form that emails you someone’s information. When you are ready to get serious about lead gen, you have to start introducing workflows and lead management solutions into the mix. That’s where things get complicated. This post is meant to serve as some level of primer to those who are interested in growing their business via a lead generation campaign. The primary focus will be on what happens when a lead finally makes it through your conversion funnel, and what best practices should be in place from that point forward to ensure you can adequately handle the leads that accumulate. What is your average monetary value of a sale? What are your most profitable services, and what are the most popular? What are the starting rates for your services? What is the amount you are willing to spend on a lead? What is the amount you are prepared to invest monthly on lead generation? Chances are you won’t get far on a lead generation campaign if you can’t come to the table with clear answers to those questions. The first thing you should do is formulate a plan for how you will want to handle leads that are inbound to your company. It’s not typical that we run into clients who have no idea what to do with a lead. You wouldn’t be in business if you didn’t know how to make a sale. However, it is typical that clients have no actual process in place that is documented for handling lead generation. Leads arrive from various sources – organic, referral, paid campaign. Contact form submissions are relayed from the website to a destination such as an email address. The email is received by “Frank” who sends to the appropriate sales team member. Obviously, this is quite a manual process. What happens if Frank is on vacation? What happens if he is delayed in checking his email? A lead arrives from whatever source. All leads are stored locally in an archive on the website, and transmitted automatically to a CRM system. Internal notification alerts the team a new lead has arrived. The CRM segments leads based on the interest indicated to the appropriate salesperson. The lead receives an autoresponder with next steps (more info, set an appointment, wait to hear from us, etc.). The salesperson follows up and tracks activity via the CRM. This process is much better: it’s clear, it’s documented, and accountability for the lead is set early without delay. Furthermore, the lead receives instant feedback and next steps before they have a chance to hear from your competitors. When you have a plan in mind, you need to then move towards a toolset that can put that plan in action. This will require a few moving parts. We’ll go through the necessary tools in a minute, but before I do, I want to give you a sense of two ways you can approach this. Method one is to utilize a series of individual tools that you integrate. This means you will use a separate tool for each of the below tasks. The positives are that this can result in cheaper license fees, and the ability to piece together your platform with preferred tools. The negative is that you’ll have a disconnect – each tool may have different data tracking and analytics that won’t necessarily interface with each other. The second approach is to utilize an all-in-one suite. The positives here are connectivity: all of the tools are under one umbrella, therefore, data is consistent and available across the entire ecosystem. However, this will be the more expensive approach. Landing Page Editing & Hosting: All paid lead gen efforts should go via a landing page. A landing page is something that allows you to make the sale, and gather the data. The keys here are flexibility and integrations. You need a system that can transmit the leads outside of itself to your CRM. My preferred applications are Unbounce as a stand-alone and HubSpot as part of their marketing suite. CMS with Form Handling: If you choose to integrate landing pages into your website directly, you better make sure you have a flexible CMS with modular capabilities. Also, ensure you have form management software with third-party integrations for sending leads to your CRM. The most common combination we see is WordPress with Gravity Forms, though, there are hundreds of possibilities here. Email Distribution & Automated Workflows: You need a system that can handle the distribution of emails to your list of contacts. There are two types of emails: those that you schedule or send manually, and those that are automated. These automated emails are known by a few names, such as workflows or “drip” campaigns. Either way, they are essential to lead management infrastructure. Drip campaigns are perfect for automating your follow-ups: sending immediate post-contact follow-up emails, and then sending emails in the days after a contact identifies themselves. Also, you can set these workflows based on past performance: if a contact ignored the previous email, you could send them a different message than if they did open an email and interacted. The best players in this space tend to be the all-in-one platforms like HubSpot, though stand-alone providers such as MailChimp are introducing this functionality and making progress with their offerings. Analytics: Analytics are key – they help you know who is coming, where they are converting, at what frequency, and for what purpose. You need to set up a thorough analytics suite to understand what your campaign is doing on any given day. Luckily, analytics can be the most cost-effective part of your suite, because the best provider is Google, and they give their product away for free. 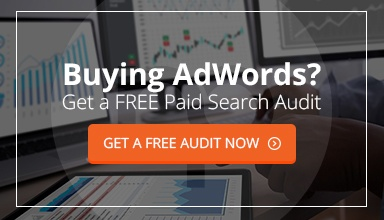 The paid analytics services rarely perform better or offer better functionality, and if you are doing paid search, the integration between Google Analytics and AdWords is essential. Tag Management: Another area where Google offers the best tools… With all of this tracking and analysis, you’ll need a system that allows you to manage all of the tagging on your site easily. Google’s platform allows you to install one set of tags on your site, which in turn gives you an easier interface to use when managing what tags go where, when. A/B Testing: Testing between variants is important – obviously there is always a right way and a wrong way to do things… Often with marketing, however, there is a right way and then a better way. A/B testing allows you to understand better user behavior, such that you can then implement positive changes that produce better results. I find that A/B testing is important in quite a few areas. Homepage design, landing pages, contact forms, and of course email blasts. You can A/B test anything: copy, positioning, subject lines… However, it would help if you had tools to make this easy and measurable. The all-in-one tools offer this functionality mostly native. For web testing, you can use a tool such as Optimizely. CRO Tools & Plugins: There are a variety of tools and plugins that make tertiary conversion opportunities easier to implement. For example, OptInMonster makes pop-ups, pop-outs, and other interruptive conversion opportunities easier to integrate. These are something that should be considered as part of any conversion rate optimization initiative. Moreover, make sure they integrate into your CRM! Call Tracking: Call tracking is essential if you plan to be converting opportunities via phone in addition to online. It works like this: your ads and your website display a phone number provided by the call tracking service. When leads call, the system tracks information about them and ties it back to your campaign. Good call tracking systems may also record the call so you can analyze the performance of your sales team. This is a critical step to gather proper insights when making phone-based sales. Lead Cleanup: There are a variety of systems which can provide lead cleaning services, such as verification of emails and phone numbers. Neustar provides one such service, which assigns a quality score to lead data. This is helpful if you are building out an advanced lead generation system and want to segment the leads based on quality. Integrated Sales CRM: All of the above tools listed are marketing tools. However, you NEED a proper sales management suite. The best players are HubSpot and SalesForce, but there are probably hundreds of others. Find one that offers you two things: one, you like it and find the interface easy to use. Secondly, it integrates as seamlessly as possible with the rest of your tools. Overall, I’m a bit biased as we are HubSpot partners, but I do believe that their offering is the best combination of all of the above systems. While some third-party or stand-alone tools are stronger in their specific area of expertise, at the same time they don’t offer the connectivity that HubSpot allows. Regarding importance, investing in a toolset you can grow with is essential for your campaigns to succeed in the long run. THIS IS THE MOST IMPORTANT STEP! All the leads in the world are useless if you cannot close them. If you take nothing else from this post, take this point in mind: any defects in your sales process will quickly reveal themselves when lead quantity picks up. This is an almost universal rule: in our experience, the biggest problem is when clients succeed at lead generation but cannot seem to close the deal. It’s important to be honest with yourself… If you are getting a large number of targeted leads, but not closing deals – then your issue isn’t lead generation. You have a more significant problem. The goal of lead generation is just that: generating qualified leads at figures that are economically viable. I can’t dig deeply enough into sales in this post – there is too much to cover. Moreover, I’m not a sales consultant. However, I do want to impress upon you the possibility that maybe, just maybe, your issue isn’t lead generation but rather a sales problem. If that is the case, then you have more work to do! I think many companies assume they are ready for lead generation, and then proceed to spend large sums of money only to be disappointed with the results. Most of the time, it’s because they didn’t plan accordingly. Lead generation is more than just getting people through the door. It’s about knowing who they are, why they came to you, what they needed when they arrived, and why they ultimately reached out to your company. There is a scientific approach to the data collected, and there must be a systematic methodology for handling the leads that come in. With that said, the first part of a lead generation campaign should be an introspective look at what your abilities are to handle lead traffic, and what steps you must take to ensure no leads go to waste. Then, you will be in a position to benefit from a comprehensive growth campaign.